(1885) Sanborn Fire Insurance Map from Middletown, Butler County, Ohio. 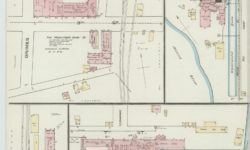 Sanborn Map Company, Jun. [Map] Retrieved from the Library of Congress, https://www.loc.gov/item/sanborn06800_001/.